Orange County Roofing provides a release of lien upon completion of all roofing and construction projects for assurance and peace of mind that all materials used on your job have been paid for in full and no liens can be placed against your property. 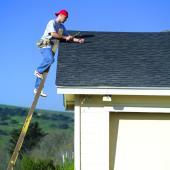 Quality Roofing is Just a Phone Call Away! Making sure your roof is secure, energy efficient and within code is the best investment you can make in your home. When you need your roof inspected - whether for new construction compliance, insurance requirements or just to be on the safe side - you can depend on us to give you an honest evaluation after a thorough inspection of interior and exterior factors. The next time you need your roof inspected - whether for your business or your home - give us a call for a roof inspection you can trust.